In 1931, Julius Klebolt after serving as a molder's apprentice, was initiated into the International Molders & Allied Workers Local 182. 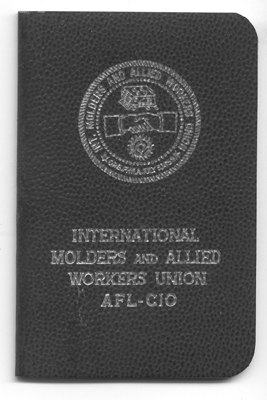 His dues book indicates his membership extended through June, 1976. When he retired, his dues were $1.50 per month.